It feels like 2013 is only just getting going when it comes to Smartphones. We’re still awaiting the next flagship Samsung and there will be swarthes of releases around the turn of Q3/Q4 due to the peak Christmas season. That’s before we even mention the upcoming iPhone 5S or iPhone 6, or maybe even both if some rumours are to be believed. 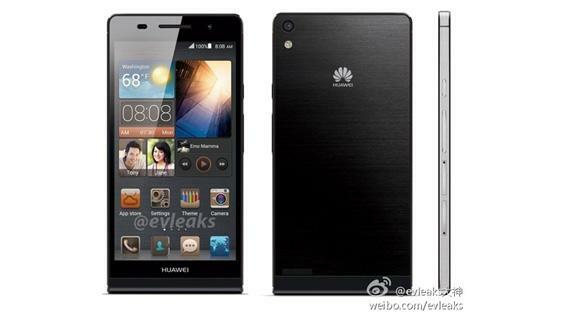 So when you think about smartphones and upcoming releases, the HUAWEI Ascend P6 doesn’t really come to mind. That may be about the change though, as the company have launched the worlds slimmest smartphone. The phone measures an impossibly thin 6.18mm, and somehow packs a 1.5GHz quad-core processor into that tiny shell. The phone weights just 120g. The phone will boast of a 4.7 inch HD screen, as well as a market leading 5MP front facing camera. Targeting the female market, the phone is designed to fit easily into any handbag and features a super-responsive screen which is designed to be operated with gloves. Being a fashion phone, design is everything for the HUAWEI Ascend P6. It focuses on brushed aluminium combined with sleek curves, with the buzzword being ‘elegance’. The phone will run on the Google Android operating system, and will be available in black, silver and pink. It ships to Western Europe in July, and will be carried by Vodafone, Everything Everywhere (Orange) and 02, amongst others.